Wayne is leading the championship and heads to Winton with a 7 point lead. Wayne increases championship lead to 7 points going into the finale at Winton Motor Raceway on 30th Sept - 2nd October 2016. 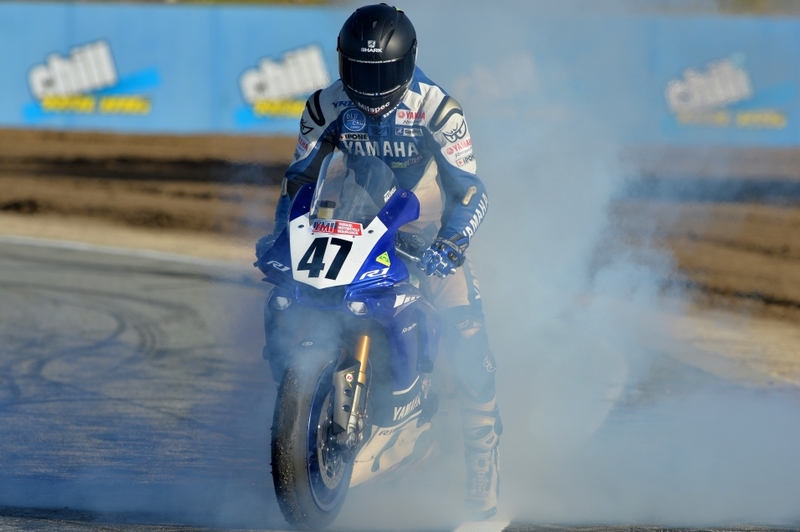 The stage has been set for a grandstand finish at the final round of the Australian Superbike Championship (ASBK) after Yamaha Racing Team’s Wayne Maxwell claimed second place at the penultimate round of the series at Morgan Park in Queensland to hang on to a seven point lead heading into the final round. 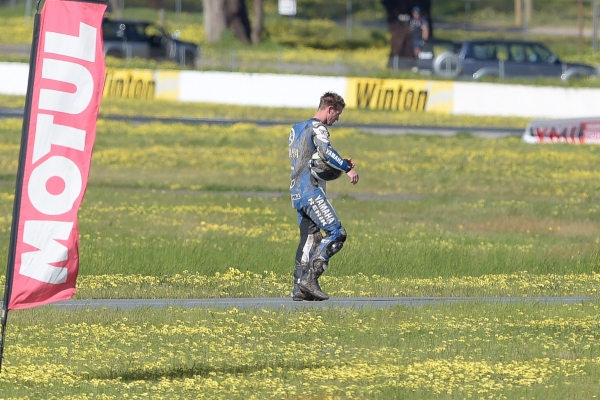 The 33-year-old Victorian took a 2-2 result from the Morgan Park event which was won by rival Troy Herfoss, while YRT team mate, Glenn Allerton finished third and all three riders are separated by just 11 points a gripping championship chase. Maxwell started the weekend with a fall but still managed to recover to take the second fastest time in qualifying and was ready to rumble when the green light came on. Race one on Sunday saw Maxwell sitting in second place throughout the whole 19 lap race distance, finishing behind Herfoss but 3.175 seconds ahead of YRT supported rider Daniel Falzon, who took third. The opening laps of race two saw Maxwell sitting in third place behind race one winner, Herfoss and teammate, Cru Halliday, until Maxwell made his move on Halliday and slotted into second place. The 2-2 result was a solid result for Maxwell but he wasn’t that happy with his weekend, as he felt that he could have maybe pushed a little harder early on. 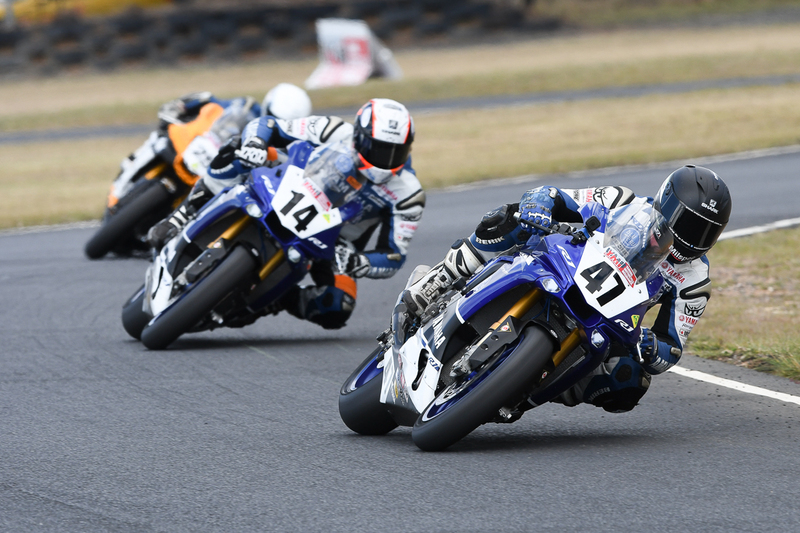 Heading into the last round at Winton Motor Raceway, Maxwell does know that the track is one of his strongest on the ASBK calendar, so he is looking forward to the grand finale and what is proving to be another show down for the fight for the title. 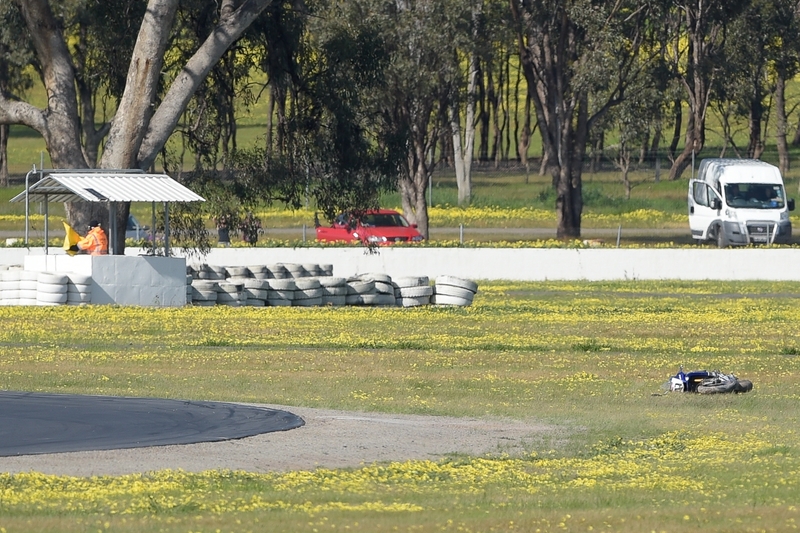 “The team will have a test at Winton prior to the round which should help us get a good setup for the round. I’m really looking forward to the last round, that’s for sure,” concluded Maxwell. 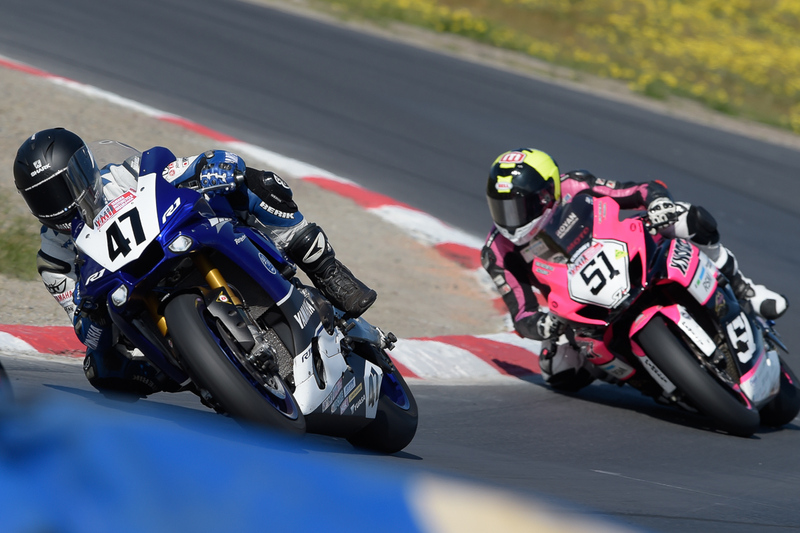 Taking the final spot on the podium at Morgan Park was championship contender and YRT mounted, Glenn Allerton, who finished with two fourth placing’s in both of the races. After missing out of Superpole by a mere .021 second, Allerton started the two races from seventh place on the grid meaning he had some serious work to do if he wanted to chase down the leaders. Race one saw Allerton charging through the pack and by lap two he was up to third place. The former Australian Superbike Champion held his ground until lap nine when he was overtaken by Daniel Falzon dropping him to fourth. Allerton settled for fourth place and brought home valuable championship points. Race two and once again Allerton wasted no time at all by storming his way from seventh to as high as third place during the race. He managed to get by Halliday on lap three and from there the pair had a ‘ding dong’ battle. On lap twelve however Halliday got the upper hand and got back past Allerton and held him at bay by 1.189 seconds. “The three of us are just 11 points apart so it’s going to be a tight last round on a track we all have plenty of experience on. I’m really looking forward to the final race at Winton and a big finish to the year,” Allerton ends. Finishing in 11th place with 18 points to his name was Cru Halliday. Halliday started the weekend off brilliantly by posting the fastest lap during Friday’s practice session however it wasn’t all smooth sailing as he did have a small fall towards the end of the session when he lost the front end and went down. Race one for Halliday and he didn’t get off to the best of starts as he got hit up by a couple of riders heading into turn two. On the opening lap Halliday had slipped back to seventh place but managed to make his way back up to sixth on the second lap. On lap six he fired back up to fifth place but made a mistake heading into turn six and lost the front end on lap ten and fell from his machine rendering his race over. Halliday put his misfortunes behind him for race two and managed to come home in third place, which was his first top three finish for the 2016 season. “I’m pretty happy about getting third in race two,” said an excited Halliday, who set the second fastest lap in race two. “I rode pretty defensive and managed to hold onto third place, which I’m extremely happy about. 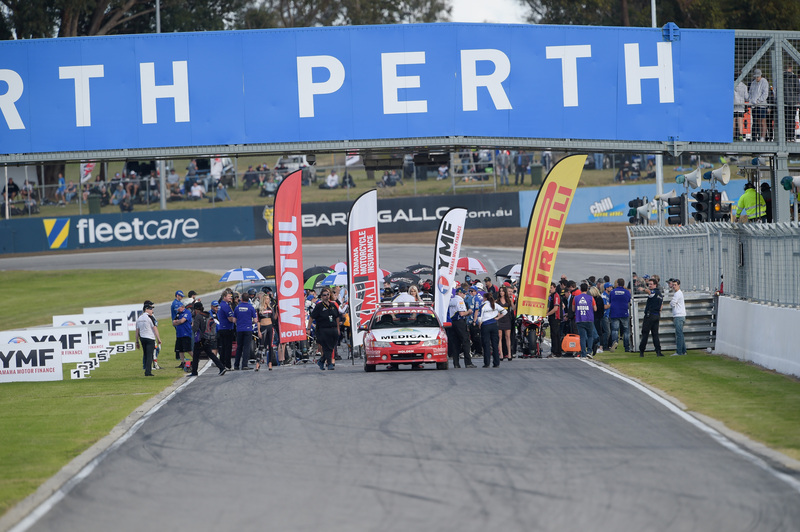 Hopefully we can carry this confidence for Winton now and try and finish off on a high for this season,” concluded Halliday, who sits in sixth place in the championship with 124-points to his name. 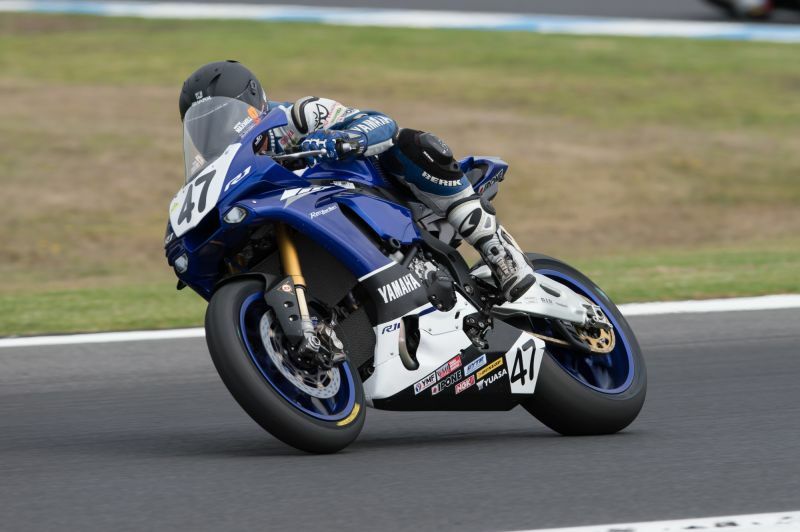 The Yamaha Motor Finance Australian Superbike Championship will conclude at Winton Motor Raceway, just outside of Benalla on September 30 – October 2. 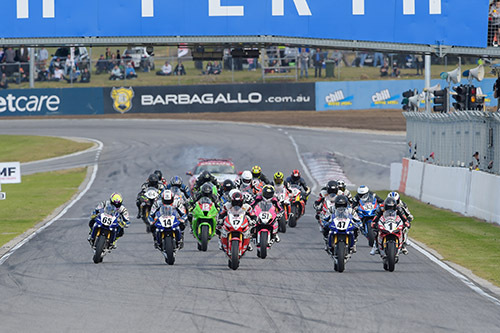 The 4th Round of the Australian Superbike Championship at Barbagallo Raceway WA, it's well known as being one of the most physical tracks in Australia, so don’t miss all the thrills and spills from Round 4, and make sure you tune in to 7Mate or FoxSports5. Wayne wins round in the west and takes the lead in championship.